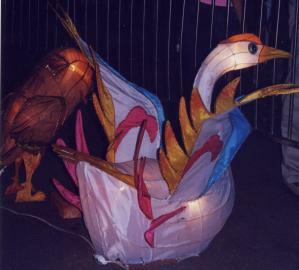 A lantern made to look like a bird. This photo was taken at the lantern festival thing whose exact name I forget. Ho hum.